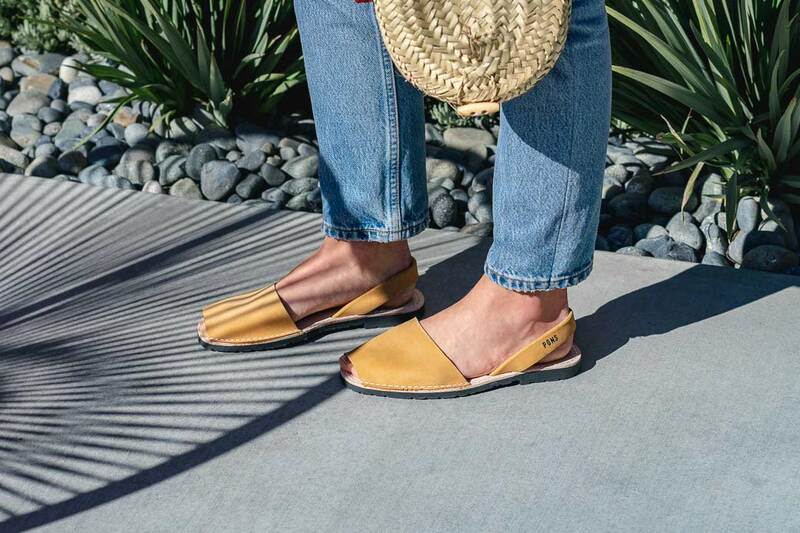 Individually handmade by local artisans in Spain, the Menorquinas inspired Pons Sandals are made from high quality Nubuck leather and offer a comfortable rubber sole. Our women's Classic Pons Avarcas in Mustard have a vintage feel with their soft yellow leather. Offering a subtle and pleasant pop of color, we love how easily the Mustard avarcas can transition from warmer to cooler months.